Sending a big thank you to our 2019 event sponsors!!!! Please consider joining our campaign by making a donation to the Maker Expo event! Sponsorship levels are shown below. 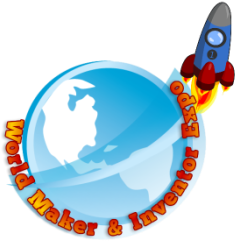 The student interns of the NKY Makerspace would like to invite you and your business/organization to support the World Maker Inventor Expo. This event will be held at Boone County High School on April 27, 2019 from 10am-3pm. The World Maker Expo is a celebration of making, inventing, innovation, and problem solving. This is exemplified through robotics, 3D printing, coding, graphic design, engineering, and much more. The family-friendly expo will feature 100 plus programs or projects from schools, companies, and organizations in the Greater Cincinnati area. We ask your business or organization to please consider supporting the event financially through a donation and/or by attend and hosting a booth or workshop at the Expo. Presenting a booth at the expo gives you the opportunity to showcase your own project, organization, or activity. This is a great way to reach out to your community and show how your business or organization contributes to the fields of science, technology, engineering, art, and math (STEAM). Each booth should exhibit something in one of these fields and can be informational or interactive. Please indicate "NKY Makerspace" in the memo. Thank you to our 2018 sponsor, the Boone County Education Foundation! Thank you to our 2017 sponsors (shown below) for their donations, sponsorship, & partnerships! This help created a successful Expo, and we are grateful for the ongoing support of STEAM education and the Maker culture in the Greater Cincinnati & Northern Kentucky regions!